I love being an orthodontist. I still look forward to going to the office each morning, even after 25 years. I enjoy meeting new people and helping them make positive, lasting changes in their life. I love watching people transform along with their smile, as they gain confidence and become more outgoing. I now see patients who I treated when I first started the practice: they’re bringing their kids to me! It’s truly a joy to form those kinds of connections with my patients; they’re more than patients to me, they’re my friends. Dr. Frydenlund is committed to providing the most comfortable, leading-edge orthodontic care to his patients. 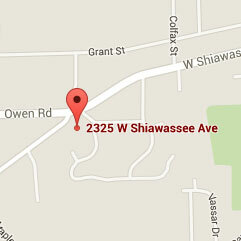 Each year, he completes many hours of advanced continuing orthodontic education. He focuses on products like Invisalign®, as well as accelerated treatment options. This ensures a faster treatment experience, with fewer office visits and less expense than traditional treatment. It also delivers the strongest, longest-lasting smiles for his patients. 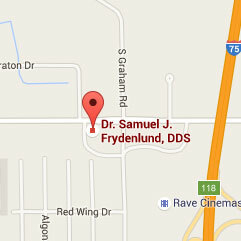 A native of Charles City, Iowa, Dr. Frydenlund has lived in Northville for the past 15 years. He has four children, all currently in college. 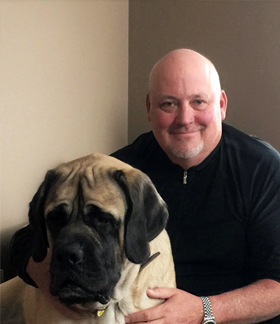 He and his wife love dogs and share their home with four, including an English Mastiff, Charlie, who weighs 180 pounds! When he’s not taking care of his patients’ smiles, Dr. Frydenlund can often be found golfing; it’s his favorite hobby. He also enjoys watching Michigan football and cheering for the Detroit Tigers.